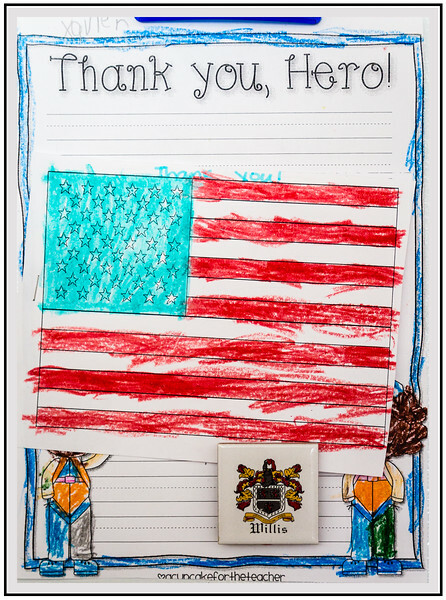 Last Friday my Granddaughter’s K-8 School Honored both Active and Retired Military Personnel. Xavier is the Kindergarten Artist who gave me his Art Project. Today I am Sharing it with you on this Veterans Day when all Military and their Families are Honored for their Service, Dedication and Sacrifices. Perfectly chosen words !!! Very appropriate !!! This is so fantastic, and I'm so glad that he gave you his art project. What a great honor and sweet gesture. Thank you Sir for your service. Aww, this is so adorable! Excellent job to both of you! Very cool to have such a personal item to share for this special Veterans Day. Xavier deserves big thanks for a splendid creation. Excellent work by Xavier. A beautiful tribute to our Veterans.